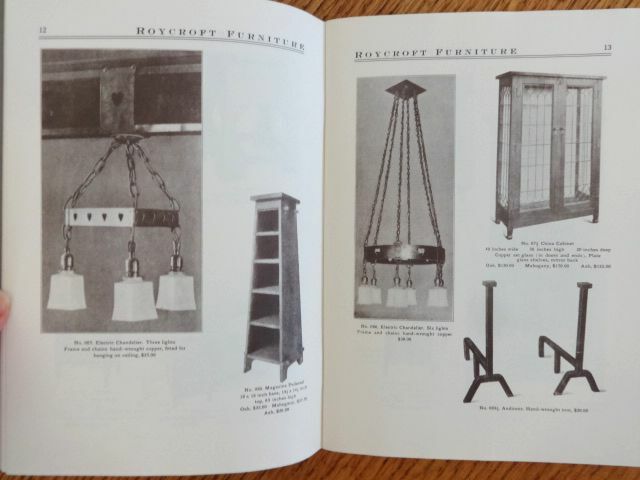 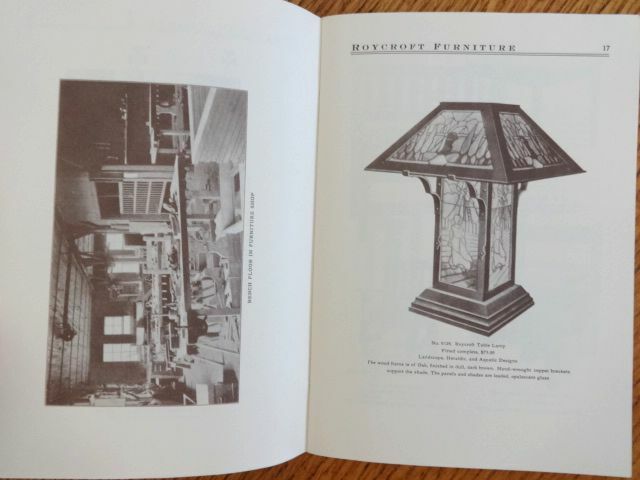 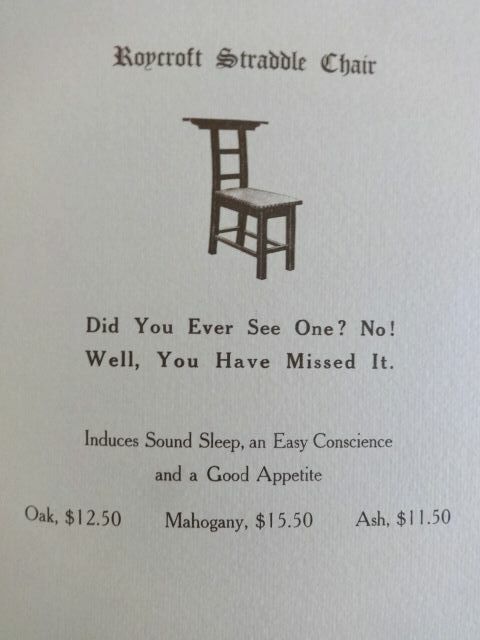 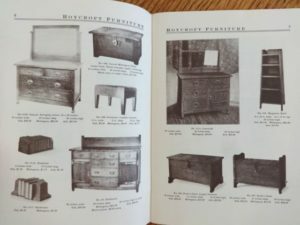 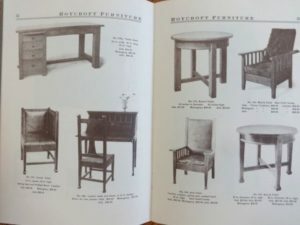 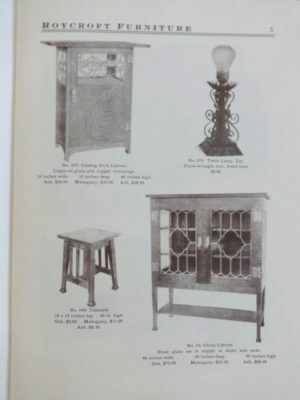 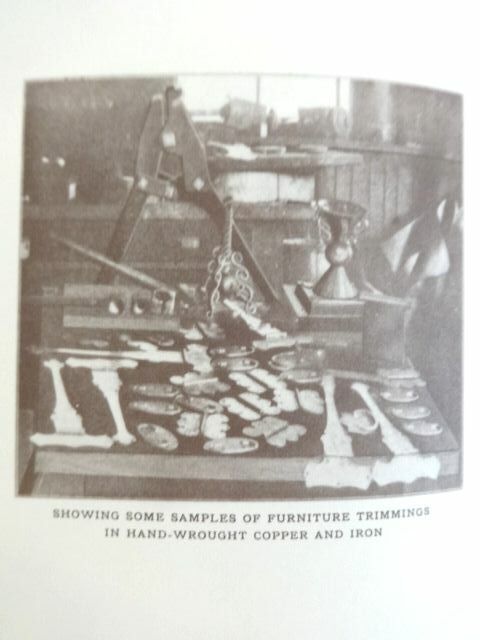 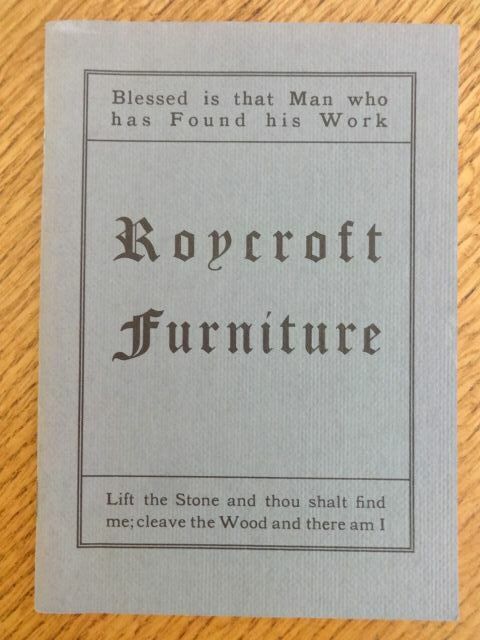 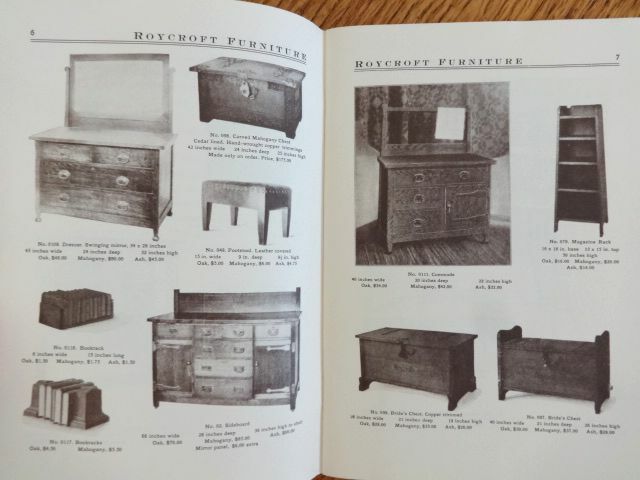 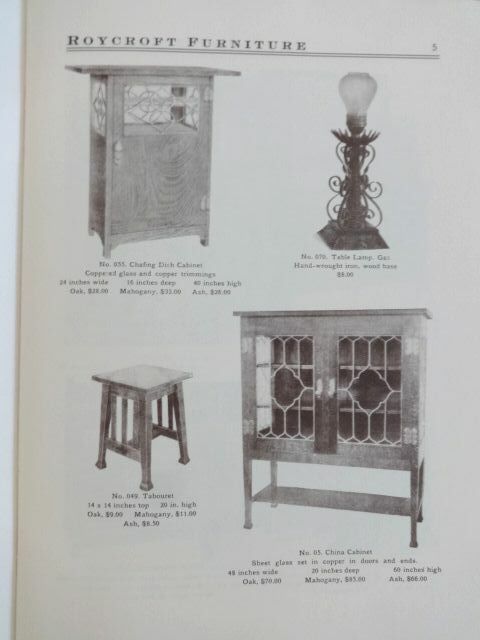 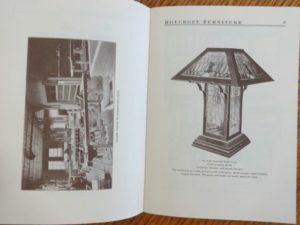 This is a replica of a 1906 Roycroft furniture catalog, printed in 1981 by Turn of the Century Editions. 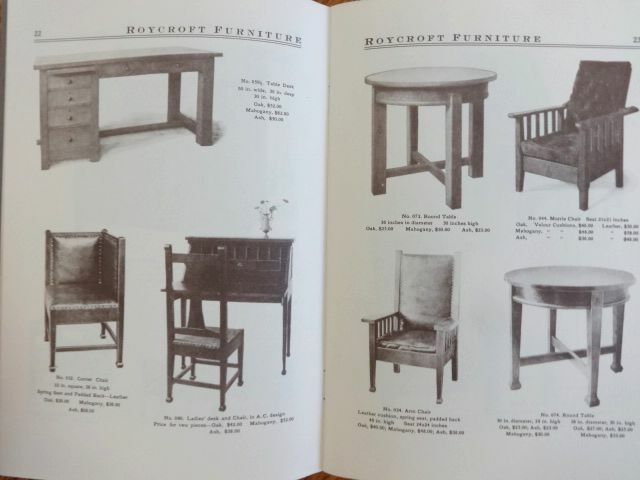 48 pages, packed with details, dimensions and prices for Roycroft chairs, cabinets, lamps, benches, tables and more. 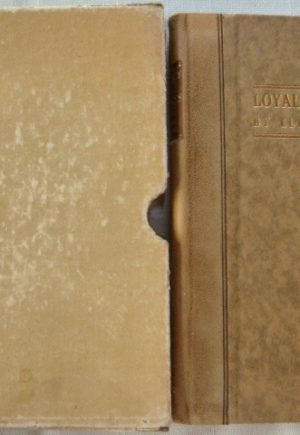 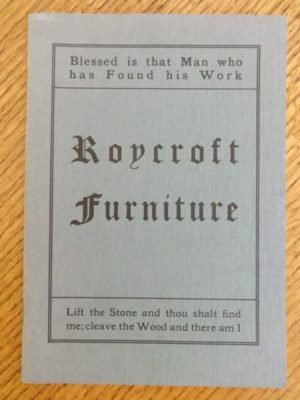 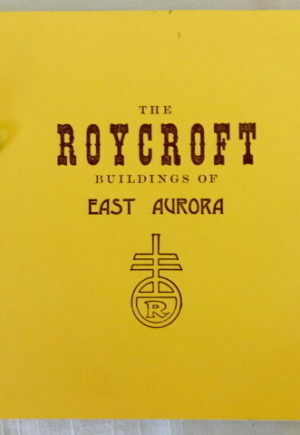 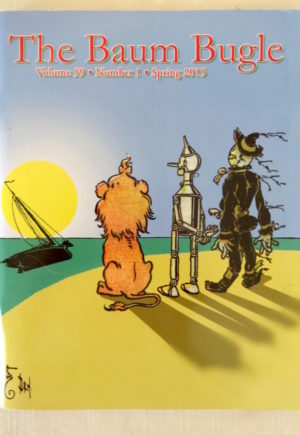 A great reference for the Roycroft collector and virtually impossible to find in the original edition.